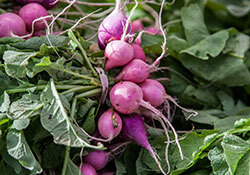 Farmers' Market Nutrition Program Starts April 1st! At Sustainable Food Center, we believe it is more important than ever to make our Farmers’ Markets accessible to everyone. 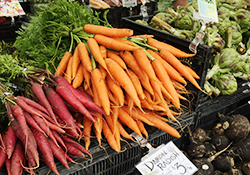 One of the ways we can do that is through an initiative with the Texas Department of Agriculture called the Farmers Market Nutrition Program. This is a seasonal program that provides families who participate in WIC (Women Infant and Children, otherwise known as food stamps) more incentives to shop locally to purchase fresh and seasonal fruits and vegetables from our Texas farmers. Continue reading on our blog to learn more about this exciting program. 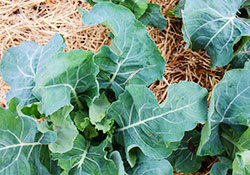 Helping Tecolote Farm: This Saturday, March 18th, Tecolote Farm is having a volunteer work day at their farm. Hours are 9am -1pm, with a Rogation (Crop/Farm Blessing) at 8:30 am. Email the farm for more information, or check out their Facebook page for more details. Tecolote is looking forward to returning to the market (hopefully) on March 25th! Chocoloate Indulgence: This week Coco Puro will have amazingly delicious Strawberry Balsamic Dark Chocolate Truffles! Breakfast Essentials: Richardson Farms will have pork chops (2 per package), tasty pork sausage, thick cream, peppered bacon, and eggs available at both Sunset Valley and Downtown markets this weekend. 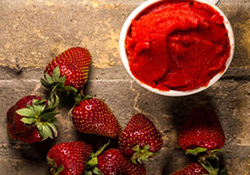 New Vendor: We are pleased to welcome Austin Gelato Company to our markets! This weekend they will be brining one of their newest items, blueberry sorbetto, which is made from Richardson Farms milk. All their products use all natural ingredients such as wild organic blueberries, organic sugar, Austin’s Goodflow Honey, and organic agave inulin.